Epidemiological data from Western Australia regarding Staphylococcus saprophyticus urinary tract infections (UTIs) was collected over a 12 month period. Eighty-four percent of S. saprophyticus UTIs occurred in females 13–40 years of age and S. saprophyticus was the second most frequent cause of UTIs in this age group (15.2%) after Escherichia coli (70.8%). Although the monthly incidence fluctuated, no seasonality of S. saprophyticus UTIs could be demonstrated. The proportion of S. saprophvticus UTIs in pregnant women (6.5%) compared with non-pregnant women (15.2%) appeared reduced, however, this reduction was not statistically significant. 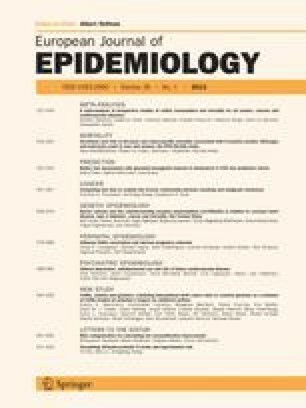 Finally, while S. saprophyticus was isolated at a frequency of 4.6% from the genital tract of females aged 13–40 years, it could not be isolated from the genital tract of females aged > 40 years, nor from the genital tract of males aged 13–40 years, suggesting a possible reservoir of infection. These data imply a relationship between female hormonal status and S. saprophyticus UTIs which requires further investigation.